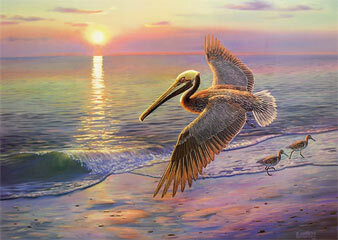 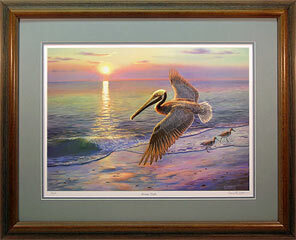 Image Size: 15 1/4" x 21 1/2"
Frame Size: 25 1/2" x 31 1/2"
Pelicans are hard to paint but fun, interesting, and worth it. 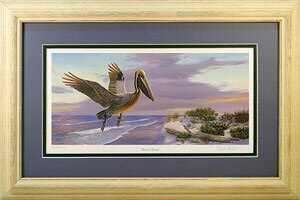 Image Size: 6 3/8" x 13 1/2"
Frame Size: 13 1/2" x 20 1/2"
Any of these shore birds can be done in the White, Rustic (as shown at the top of the page), or in the Brass Corner frame. 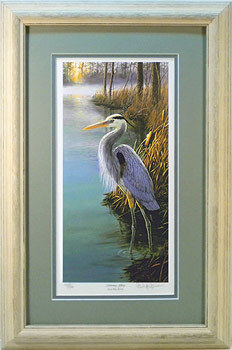 These two herons can be framed in White, Brass Corner, or Rustic (as shown at the top of the page). 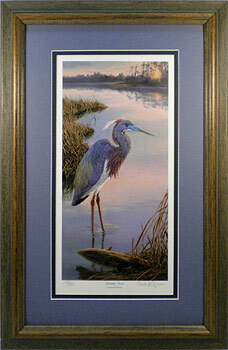 Image Size: 6 1/4" x 12 7/8"
The Heron prints above and below are same size to make a nice grouping. 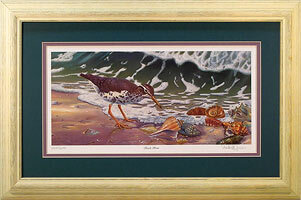 They are displayed in different mats and frames to show available options.